November 6th is quickly approaching, and it seems that elections are the only topic on everyone’s mind. We hope that you will graciously allow the Slatebreakers blog to get in on the action. Although many of us may be tiring of election coverage, this is an excellent time for conversations about the political process. Youth and women are two populations who are traditionally pushed aside and/or marginalized throughout election season. So, during times when politics takes up much of the public consciousness, how do we keep young females engaged? How do we show them that there is a place for them in government? There are, of course, many inspiring women currently in office (like Barbara Boxer and Olympia Snowe) who serve as excellent role models for girls. We also have women like Hilary Clinton serving in important roles that are critical to the future of our nation. There are fictional women on television and in film who can get young people fired up about civic engagement. (I’m thinking of Amy Poehler as Leslie Knope in Parks and Recreation as a great example.) Yet still, these ladies – both real and fictional – are vastly outnumbered by the men who dominate elected offices. This week, Sarah and I will be reviewing books about girls who are involved in politics including those who decide to run for office themselves, and those who must cope with the attention that comes when a loved one runs for office. If you need to take refuge from the final barrage of election news, stick with us. 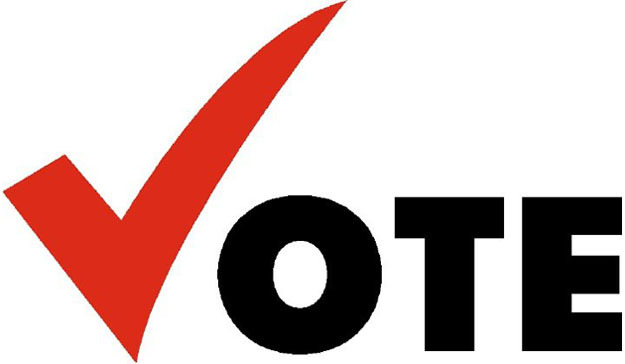 And if you are a registered voter, please make time to cast your vote! This entry was posted in Theme Week and tagged Elections, Theme Week, voting, women in government. Bookmark the permalink. I’m Canadian, so I won’t be voting in this important election, but I agree it’s so important to have women represented in politics and I’m looking forward to the book reviews you have coming up!